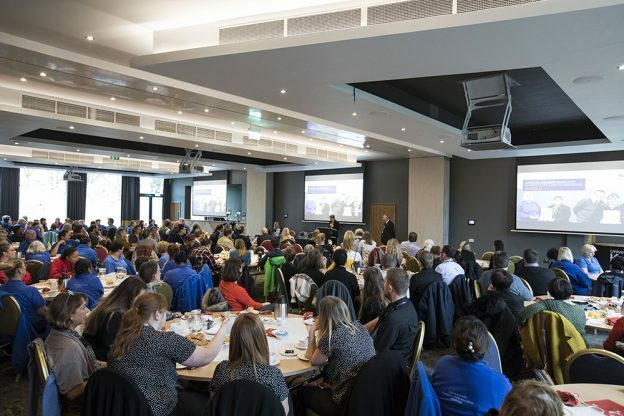 A big congratulations to all Kent Hospitality and Gulbenkian staff who received awards at this year’s Annual Awards Ceremony [link to https://www.kent.ac.uk/hospitality/reward-and-recognition/annual-awards-ceremony.html]. On Thursday 6 December, 130 staff were recognised for having achieved nationally accredited qualifications in the last year, with over 200 awards presented. The event celebrated both departments passion to learn and develop, Pride awardees, achievements and professionalism. The CECS (Consistent Excellence in Customer Service) Award was also presented at the event by Denise Everitt, Senior Deputy Vice-Chancellor and Chief Operating Officer. Many congratulations to runner-up: Sam Ranger, Street Kitchen chef and this year’s winner: Lucy Galt, Gulbenkian Café Bar Assistant. This entry was posted in Campus online on 21 December 2018 by Miles Banbery.